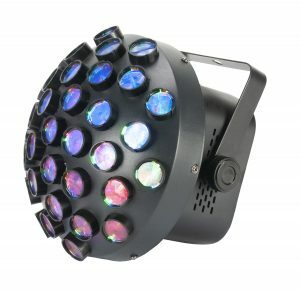 The Starshipis a unique new centerpiece lighting fixture that is ideal for creating impact at the heart of a nightclub lightshow or large mobile lighting rig. It features six bars which each extend out from a central hub and are loaded with four 15W RGBW LEDs. Each of the bars has an independent motorized tilt function and all 24 of the LEDs can be controlled individually. 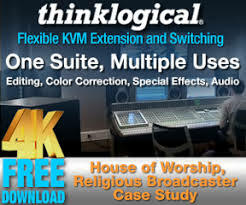 This allows for the creation of a wide variety of exciting effects that feature a myriad of razor-sharp beams changing color and moving in different directions. 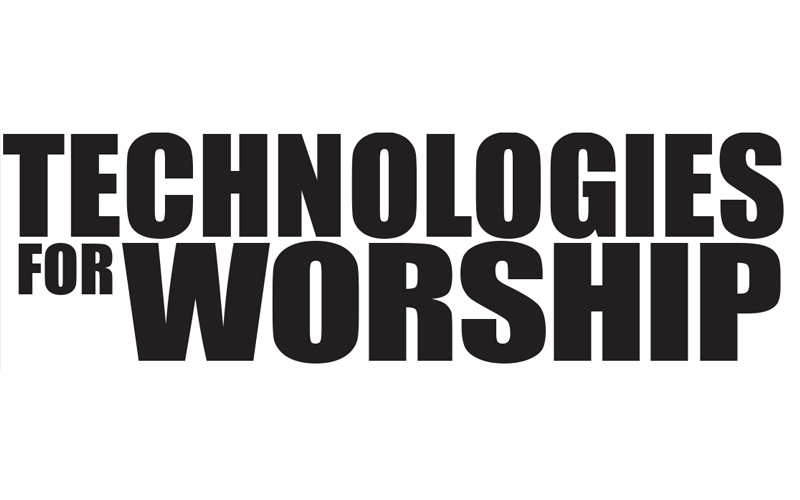 The fixture can be controlled via DMX (with a choice of two channel modes) and also features in-built shows which can be easily set to run either at a defined speed or triggered by the beat of the music detected by an internal microphone. 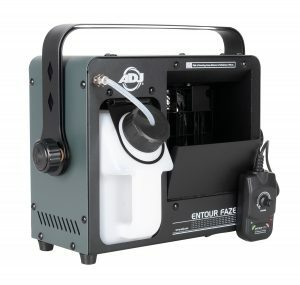 Having previously been distributed by sister company Elation Professional as the 4Cast DMX Bridge, NAMM 2019 will see the launch of the innovative 4 Stream DMX Bridge under the ADJ brand. 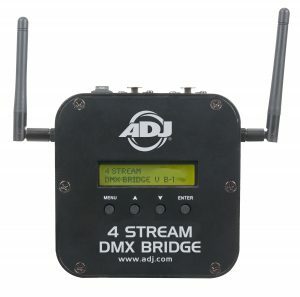 The next step up from ADJ’s popular Airstream DMX Bridge, the 4 Stream DMX Bridge is a 4-universe wireless device that seamlessly bridges WiFi, Art-Net, sACN and WiFLY (ADJ’s wireless DMX solution) signals to wirelessly control DMX devices. 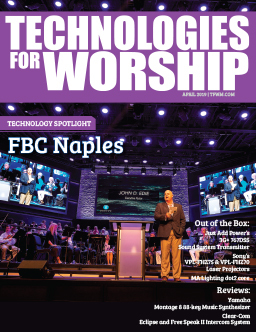 It allows sophisticated lighting control direct from an iPad tablet using the 4 Stream DMX Bridge APP, which puts powerful scene programming tools at a user’s finger tips. Ideal for event production applications, as well as permanent installation in bars, nightclubs and other entertainment venues, this compact unit allows for reliable wireless transmission in any situation where running physical data cables is unsightly or impractical. iPad sold separately. Building on the success of the Airstream Wifi Pack, the new Airstream Wifi Barfrom ADJ is a wireless switch pack built into a lighting T-bar which can be controlled from the existing Airsteam Wifi iPhone or iPad APP. 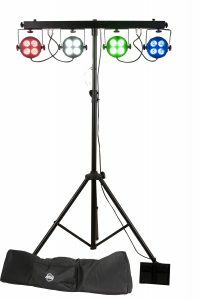 Featuring a solid metal construction and four fixing points for lighting fixtures, the unit has a central mounting point which allows it fit to the top – or part way down – a standard tripod stand. Offering four power outlets, the Airstream Wifi Bar creates a private standalone 2.4Ghz WiFi network, requiring no existing network infrastructure, and allows users to switch connected lighting fixture on/off manually or automatically directly from their iOS device. iPad, tripod stands and lighting fixtures are sold separately. 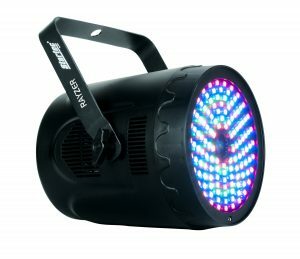 Expanding ADJ’s Startec Series of affordable high-impact lighting fixtures, the new Rayzerbrings together two high-octane effects in one compact and easily portable unit. It combines a tri-color laser projector with a multi-zone RGB wash effect, which allows this one fixture to generate piercing midair beam effects for those ‘reach for the sky’ moments as well as vibrant washes that will fill a dancefloor with richly-saturated swathes of color. The fixture’s laser aperture is located right at the center of its circular face and combines red, green and blue beams to create a wide variety of striking effects. When used with fog or haze, the beams will cut through the atmosphere creating impressive mid-air projections. But even in haze-free environments, the unit’s complex geometric patterns can be used to add interest to the walls, ceiling or dancefloor of a venue. Another new addition to the Startec Series, the Contour is a compact lighting effect fixture that will make a big impact. 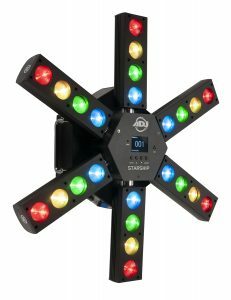 The LED-powered unit blasts out a myriad of multi-colored beams that spread out over a wide area, making it ideal for filling any venue with vibrant color and energetic movement. Powered by 27 x 1.5W 3-in-1 RGB LEDs, which shine through 36 individual lenses, the output is similar to the classic ‘fan style’ effect. Each lens projects a line of bright light dots which move and change color to create an ever-changing lightshow.